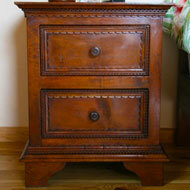 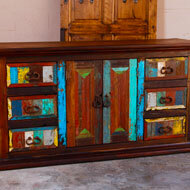 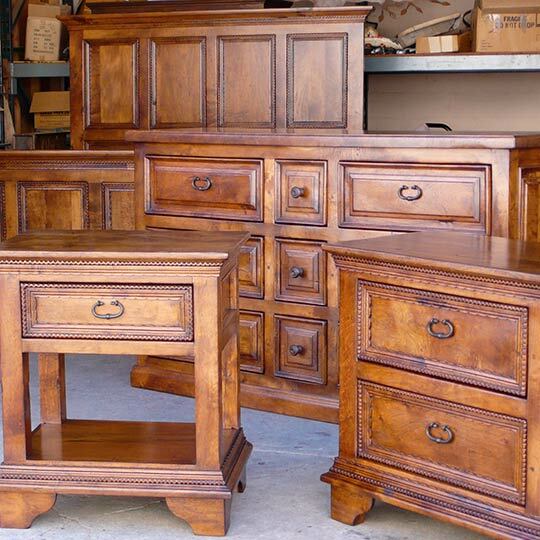 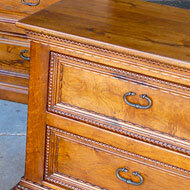 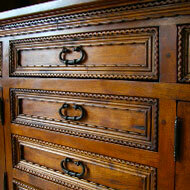 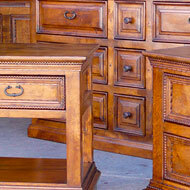 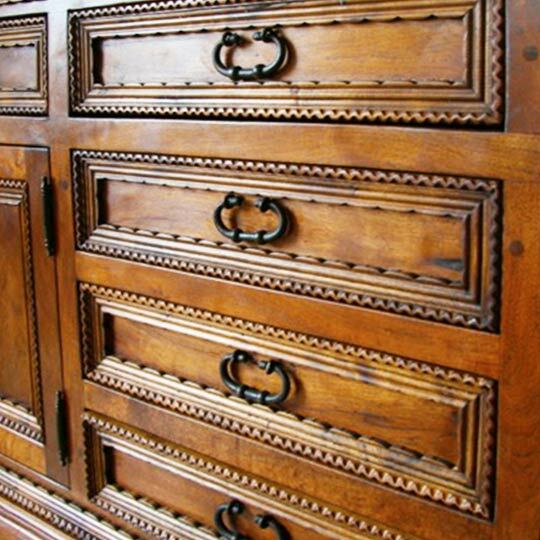 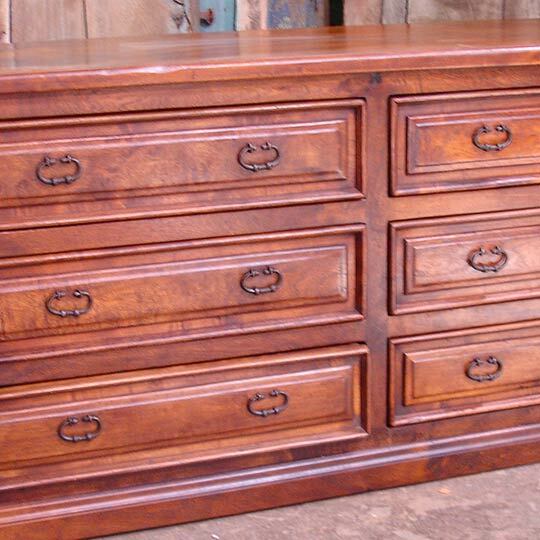 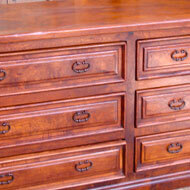 The dressers and side tables are all made from solid wood and detailed with hand forged iron hardware. 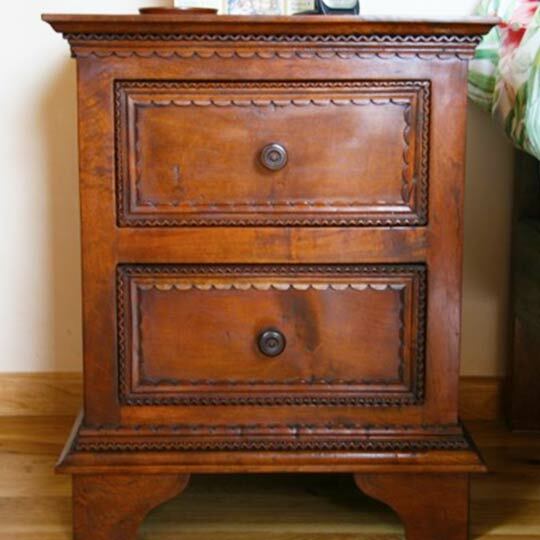 Old door night stands. 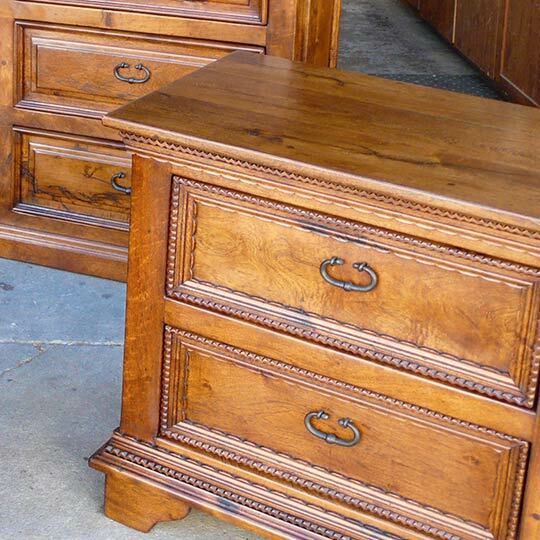 These tables are created for their simple style and function by using a piece of an old door for the top, the original door frames for legs, and a beautiful piece of old wood for a bottom shelf. 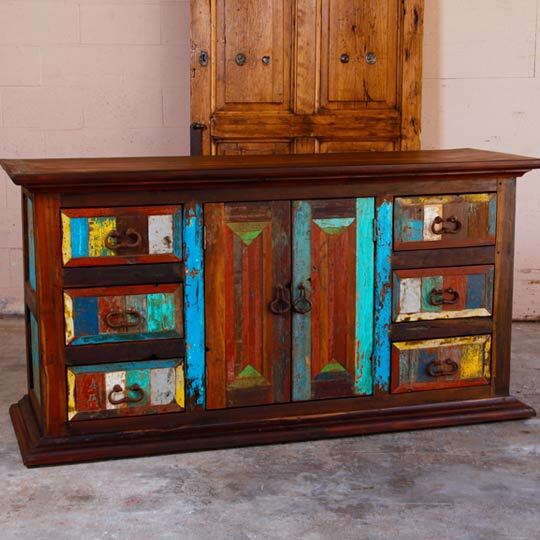 Very eclectic!